Baby, it's cold outside. 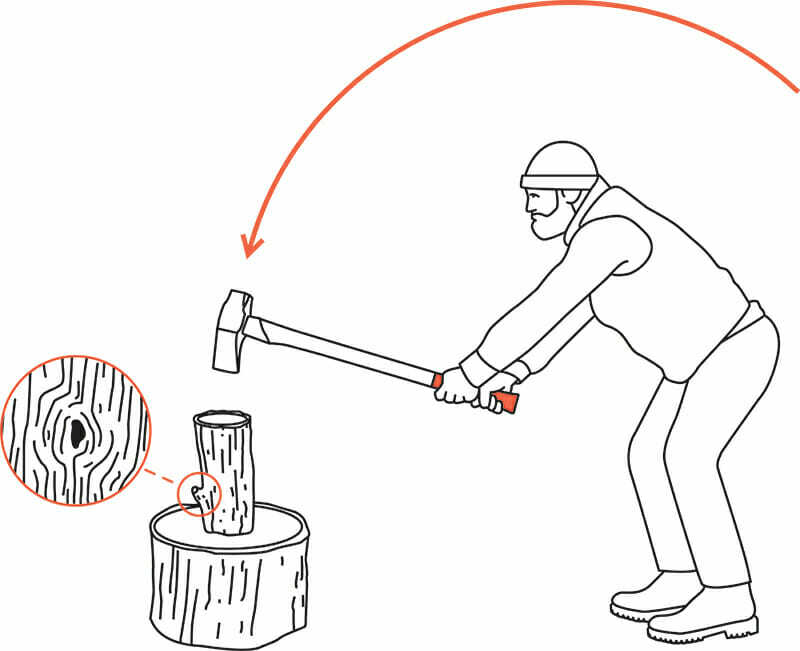 Learn how to chop wood like a pro lumberjack -- without wrecking your back. Chopping wood for an hour can boost male testosterone levels by almost 50 percent, says a group of University of California, Santa Barbara, researchers studying the Tsimane population of Bolivia. While many studies have examined the effect competition has on testosterone, lead researcher Ben Trumble instead chose to look at resource gathering and food production for a study published in 2012. “In humans, men tend to compete for the attention of women via economic productivity as opposed to fighting other men in the street, so examining changes in testosterone during food production is important,” says Trumble. As for women, he speculates they would likely get a testosterone boost as well, though smaller. But it’s likely you want more than a shot of testosterone: You want a neat stack of firewood, too. Grab an ax and get to work, right? Not so fast, cautions Shawn Swartz, forest manager at Warren Wilson College in Asheville, North Carolina. First off, forget the ax. Once the tree is felled and chopped up into logs, a maul (a sledgehammer-like contraption with a wedge on one end) is the tool of choice. Think about how you’ll be using the wood. 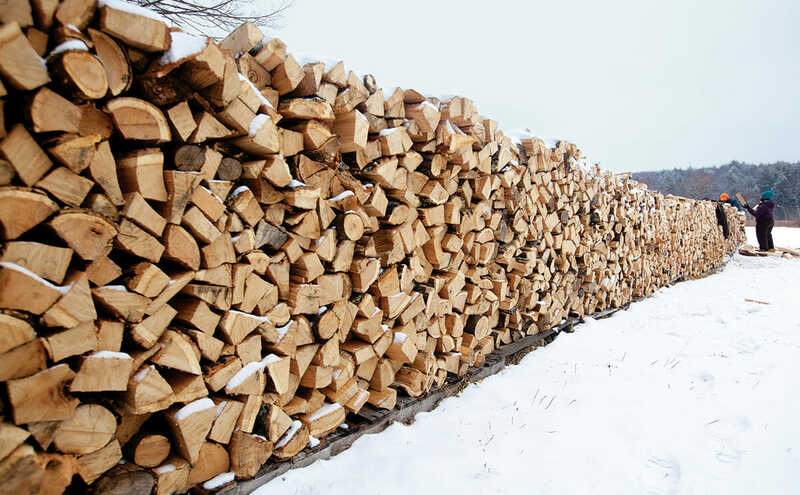 If your wood stove can only fit an 18-inch log, cut your logs to 18 inches or less. Keep your cuts even and square so the logs don’t tip over when placed on end. This will raise the target of your chopping up, which saves your back and prevents your chopping instrument of choice from driving into the ground if you miss. You want to cleave into the wood with the straightest grain first. “Imagine a broom squeezed together. These are like magnified wood fibers,” explains Swartz. When chopping a tree into logs, you’re cutting those fibers in half. When splitting those logs, you’re separating the fibers along the grain. Wood fibers tend to cross and get disorganized around knots and branch sites, and can foil a clean split. Split the log like a pizza. 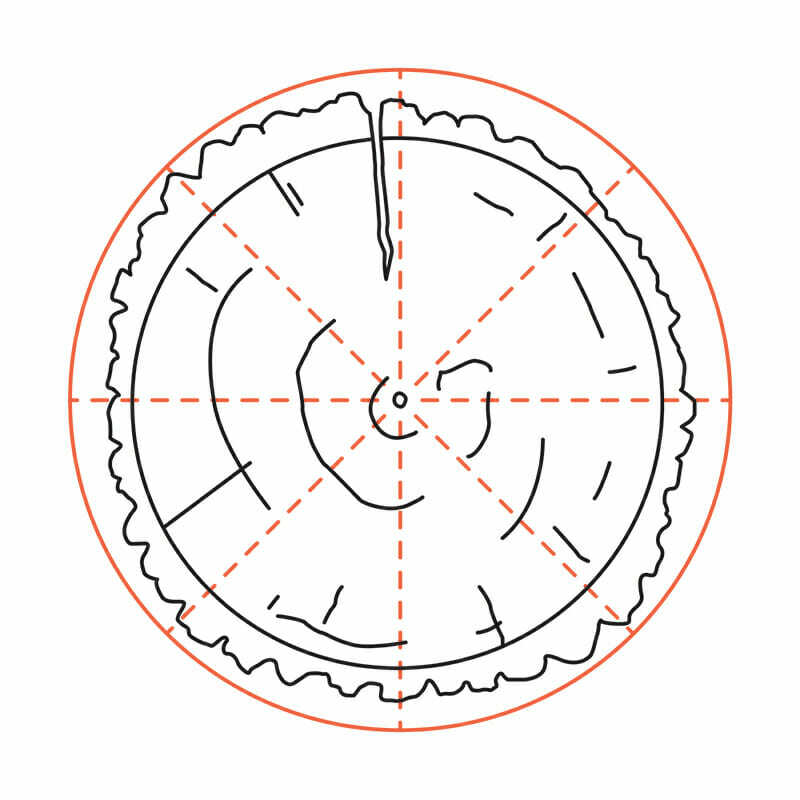 “Don’t just shave off the edges,” says Swartz. Split it in half, then quarters. Keep going until you reach the desired size. Save your back: Keep an arch in your lumbar spine, bend your knees and use your legs. There’s more than one right way to swing, so if you find a way that works for you, go with it. Practice precision by hitting the same spot over and over so that each swing adds to the progress made by the last. Fresh-cut wood needs to sit for about a year to burn best. Opinions vary about whether to cover the wood, but Swartz says it’s not necessary to cover until a few weeks before you’re going to burn it. The idea is to dehydrate the wood fibers’ cells and bring the overall moisture content to below 20 percent.